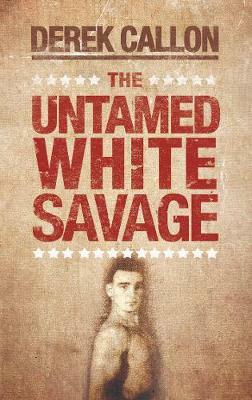 The Untamed White Savage is a story based part on the life of the author's father, Derek Callon, and written in the style of a wartime thriller. It is an extraordinary story that has remained untold for over 60 years. Bullied and ridiculed as a teenager, Derek Callon fights back to overcome his fears and his tormentors. With guidance from his father, a former bare knuckle fighter, he is taught the necessary skills to defend himself against adversity, whilst moulding his body into the finest physical shape. Still only 21, and against all the odds in a foreign country, he reaches the final stages of the Far East wrestling championships. His hopes of achieving this prestigious title are put on hold as he attempts to recover from a horrific beating, which leaves him fighting for his life. His success in the wrestling arena's of the far east, and his ability to speak the local language, brings him into contact with very rich, powerful and corrupt men, intent on getting what they want at whatever cost. He finds his life embroiled and interwoven into the dark and dangerous world of drugs. His worst nightmare is realised, when he discovers that senior army officers are involved in the organisation of one of the most daring drug heists of its day, and which he is to play a central, but unwilling role. He is offered a life changing amount of money, and coerced into loading and driving a truck with tons of illicit contraband from a secure dock location in Singapore. His destination is to cross the heavily guarded Straits Causeway into Malaysia to an unknown address, unaware of what the cost for failure will be. Will he be defeated by greed and influence at the hands of this very powerful syndicate? A mystery man plays a pivotal role to the story and the trafficking of drugs worth millions of dollars. The identity and exposure of this man and his dignified position at this time will send shockwaves throughout the establishment.